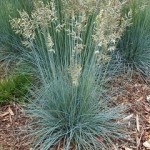 An ornamental grass with tan flowers that rise above fine textured icy-blue foliage. 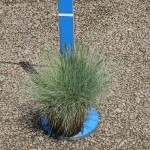 Suitable for edging or mass planting. Larger clumps may be divided. It tolerates drought and poor soils; it prefers full sun. 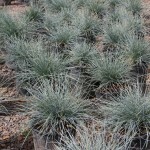 Cut back foliage in late winter to promote new growth.